I’m so tickled today to have a guest post by my new friend, Christy, from over at The Simple Homemaker. Christy has a delightful blog. If you’re not subscribed, you SHOULD BE! She’s s complete hoot and full of tons of great information. Thanks Christy! My husband is part Filipino. When it comes to cuisine, his Filipino blood speaks loud and clear…even louder than my “cheese is a food group” Wisconsin blood. When he first told me about the popular Filipino dish, chicken adobo, I was not convinced of its culinary worth, but when his aunt made it for us early in our marriage, I was totally sold. Every Filipino family has their own version of adobo. This crockpot chicken adobo recipe is our variation of recipes passed down by my husband’s father and uncle, who never could agree on whose adobo was superior. These amounts will serve 6, but you can add extra chicken pieces to serve more. Put the chicken in the crockpot with or without the skins. Combine the soy sauce, vinegar, and water, and pour them over the sauce. Toss in the garlic and bay leaves. Add about 20 turns of cracked pepper into the crock. (My Filipino father-in-law put 20 whole peppercorns in there—he was a braver man than I.) Now you’re ready to cover it and forget it! If you’re under two inches tall, try not to fall in. It’s embarrassing…and messy. Set the crock pot on high for 4 hours or low for 6 hours. I always check my chicken with a meat thermometer, because my family likes to spontaneously play a game called, “Throw up,” followed by another game called “I think Mommy gave us salmonella poisoning.” Have you ever heard a three-year-old say “Thawmoniwa poithoning”? It’s really cute. When done, stir the sauce and taste it. 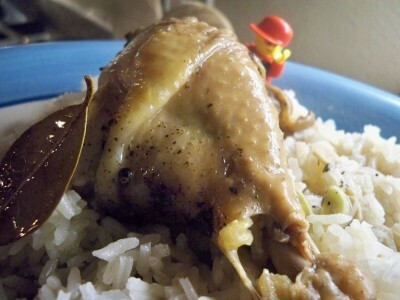 Feel free to adjust the adobo to your liking by adding more soy sauce or vinegar to strengthen it, or water to tame it. My father-in-law added a teaspoon or two of sugar to keep his eyebrows from curling, but I just go with curly. This must be served over white rice. Let me repeat: this must be served over white rice..not instant, not brown. Pour the sauce over the rice so it is swimming in sauce…and then add more sauce. 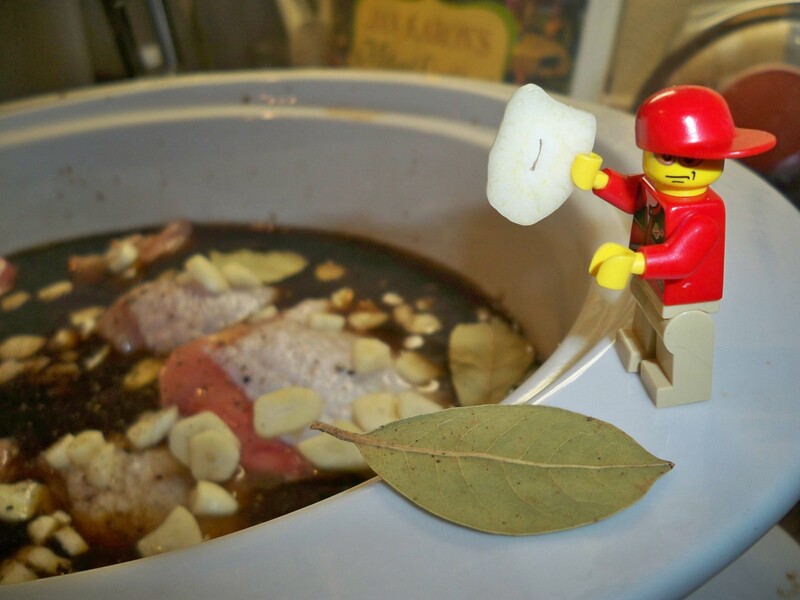 Don’t eat the bay leaf…or the little man. Did I mention the white rice? To learn how to make white rice properly, read How to Cook White Rice. It’s gotta be white rice. 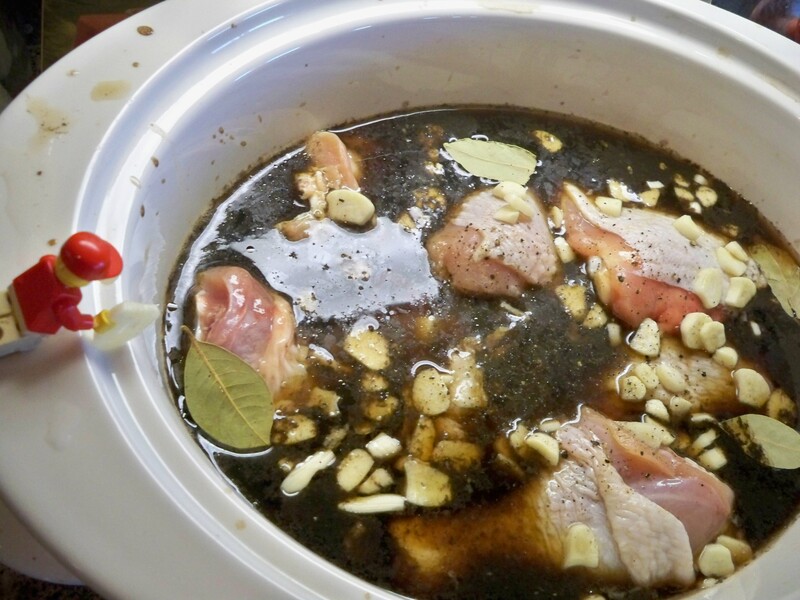 Are you adventurous enough to try Crockpot Chicken Adobo? Put the chicken in the crockpot with or without the skins. Combine the soy sauce, vinegar, and water, and pour them over the sauce. Add about 20 turns of cracked pepper into the crock. Set the crock pot on high for 4 hours or low for 6 hours. When done, stir the sauce and taste it. Christy writes about simplifying life at The Simple Homemaker. Once weighed down by unrealistic expectations and life’s overwhelming demands, Christy has learned to throw off the complications of life and find joy in the little things. Christy and her contemporary Christian musician husband, Stephen Bautista, homeschool their 7 children, ages brand new to 15. 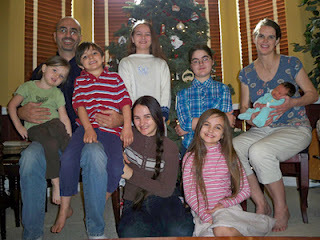 The family tours the country for the music mission and works together on a home business. I must know. Because I mostly only ever make brown rice. I prefer brown over white any day. I just need to know the reason behind such an adamant admonition to use white rice. I will also note that I lived in the Philippines for a little bit and I LOVE adobo! But I’ve never been able to cook as well as my Filipino friends. I’m hoping this recipe lives up to it! Note: This is an older post. I’m sure Stacy would use white rice or brown rice these days – both are nutritious and delicious options! My husband is Filipino. I will have to try this. Sorry but how much soy sauce and how much vinegar? Amounts are written in the printable recipe at the bottom of the post. Hi! Thank you for this recipe. I’ve never heard of it, but it sounds delicious 🙂 I was just wondering if I could just use chicken breast or thighs instead of a whole chicken? Also, how many pounds do you use? Thank you! A whole chicken usually runs around 5 pounds, but that includes bones. I would probably go with 3-4 pounds of another cut. I have only had real chicken Adobo once in my life and can say in all honesty, that I have truly missed it. I lived with a Filipino woman for awhile in the late ’80s/early ’90s and miss the Adobo she made while I was there. The only Adobo recipe I have found in my search has NOT been Filipino but something purely foreign. I am glad you have posted this recipe. How about the breakfast meal similar to chocolate rice pudding? I have forgotten its name but I am sure the family knows what I am talking about. Just another reason to loooooooooooove coconut oil! This may be a dumb question, but when you say “pout it over the sauce”, what sauce are you speaking of? Dad always added sugar, too. I hope you loved it! I love adobo. We have always put sliced ginger in ours, otherwise same ingredients. But, I never thought to make it in the crock pot, which is weird because I cook a majority of my meals in a crock pot. I will try the ginger! I am Filipino and who would have thought to throw all the ingredients in a crockpot? This is brilliant! Thank you. Love this recipe and your liquid quantities , must have slurping sauce. Is your husband a kikoman man? That’s the only soy sauce I like and I always know. I call myself half Filipino but just bc I was raised in the PI? My hubby lived in the Philippines for four years, too. Hello! My husband is also part Filipino and loves his adobo! Can the chicken be frozen? And if so, how much longer do you think it would need to cook? Thanks! I really don’t recommend putting frozen meat in the crock pot….just plan to make this in advance and thaw the chicken in the fridge. 🙂 Safer that way. I agree with Stacy about the frozen meat, but I do it anyway, because our refrigerator freezes everything. Shhhhhhh. I always check with a meat thermometer for doneness, and everything depends on what meat you are using. I have this in the crock pot as I type! I’m half Filipino & have always loved chicken & pork adobo! I did add ginger & potatoes (I usually put those in my chicken adobo). Can’t wait to taste it this crock pot kind! Thanks! My hubby would NEVER let me put potatoes in this, but I totally want to try it! I love pork adobo, too. The first time I had adobo it was pork, made by my hubby’s full-Filipino auntie. Oh YUM! I had to eat like a lady, because we were guests, but man did I want to knock everyone else down and take it all for myself! Looks great! I was thinking of adding potatoes to this as well. What do you think? I have to tell you that if I put potatoes in this, my husband would leave me. 😉 But I’m curious to know how yours turned out. Hi Stacy, and thanks Christy, visiting from Tuesdays at the Table. This sounds so simple. I have made various other “Chicken Adobo” recipes, none that are as simple (few ingredients) as this. Going to have to try this one in the near future. Thank you and have a great upcoming week. 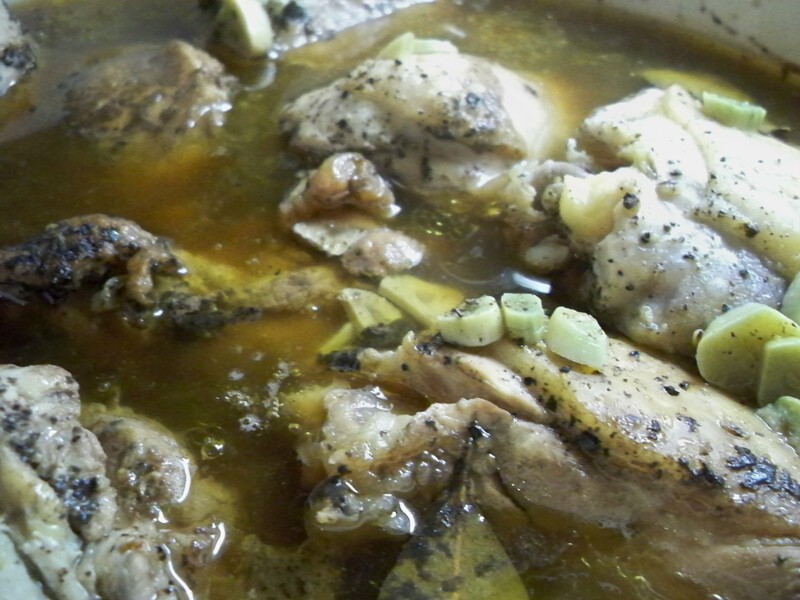 This is a great Crockpot Chicken Abobo that we will really enjoy! This is a very good recipe. Hope you have a fabulous week end and thank you so much for sharing with Full Plate Thursday. I just shared your Fix and Forget Crock Pot Fajita Recipe on my blog! I made it for my family and we loved it! Your recipes are great! Thanks! That sounds like a delicious recipe! 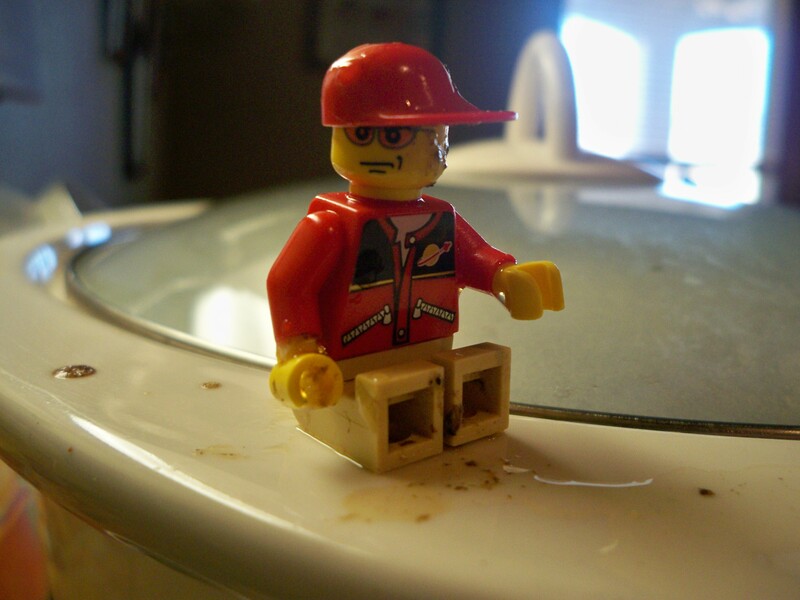 The little lego man gave it a fun spin too. 🙂 Thanks for sharing with Tuesdays at the Table! Christy, this recipe sounds delicious. 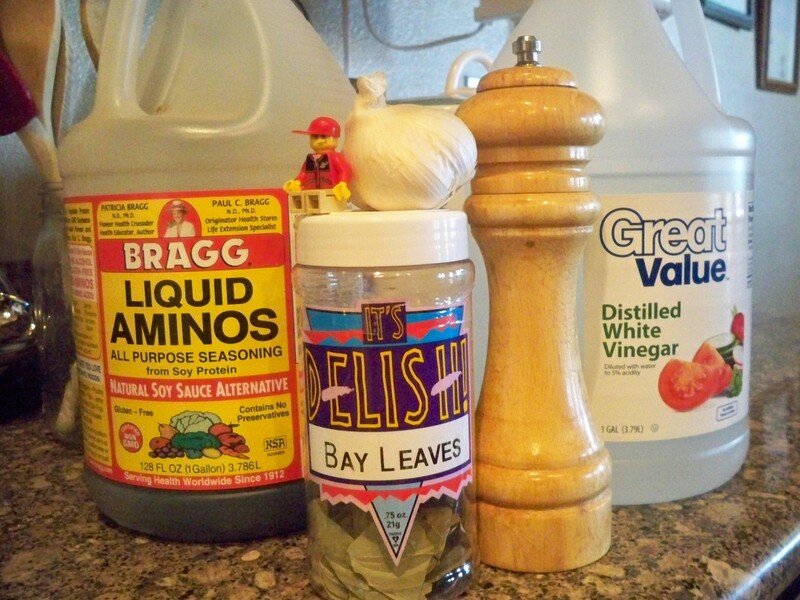 I love vinegar, lemon juice… basically all things acidic, so this is right up my alley. I think I will be trying this with chicken breasts since that is what I have on hand. Looking forward to my first Filipino dish, and in the crock pot nonetheless. I’d like to know how it turned out with chicken breasts. Boneless meat always turned out dry for us. Tee hee! I love the little man! Bay leaves are so much fun! Especially when you’re fishing around to find it and it’s disappeared. Hmmmmmm. 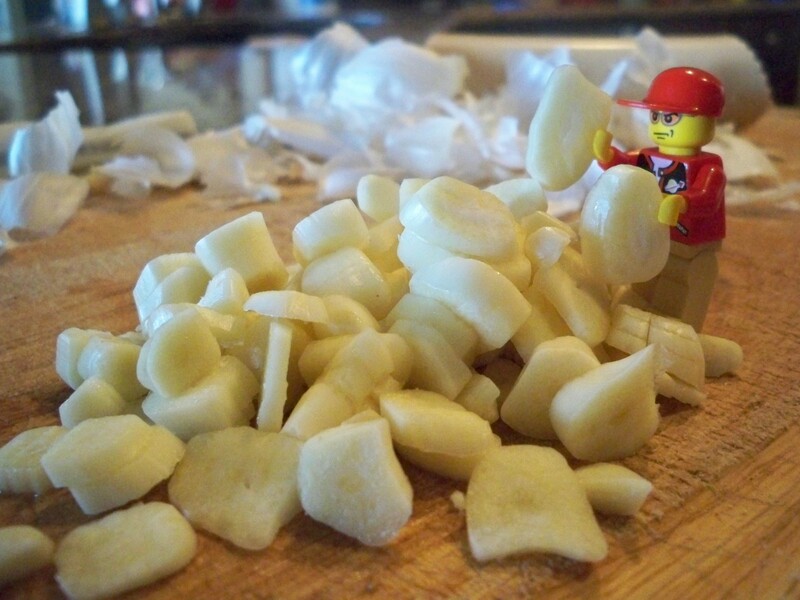 We make ours on the stovetop most of the time, and we do it exactly the same way, except without the little Lego dude. Also, we bring it all to a boil and then immediately turn it down to a simmer for 45-60 minutes. That’s it! I hope this lives up to your expectations. My father-in-law always told me that my adobo was really good “for a white girl.” The stinker! I must try this! We were introduced to Chicken Adobo about 45 years ago in Norfolk VA. by a Filipino friend. No crockpots at that time. He did it on the stove top. Absolutely delicious! Sounds yummy! But is that really 1 1/3 CUPS soy sauce and 1 1/2 CUPS vinegar? Wow! Crazy at it sounds, it really is that much, but I’m feeding a very large crew and we literally flood the plates so you have to forego all table manners and drink the liquid off your plate when you’re finished. (Send pictures if you make it…no, send videos!) When my family was smaller, the liquid measurements were halved, so 2/3 cup soy, 3/4 vinegar, and 1 cup water, still with a whole cut-up chicken. There wasn’t enough juice for eight people to make swimming pools for their rice with the smaller measurements, so as we grew I first increased the liquids to make enough and then started throwing more chicken in to the pot. Take note that those are just our family’s preference. Adobo is like lasagna or spaghetti sauce–every family has their variation, so if you make it, just adjust to your family’s needs and likes. This is great. 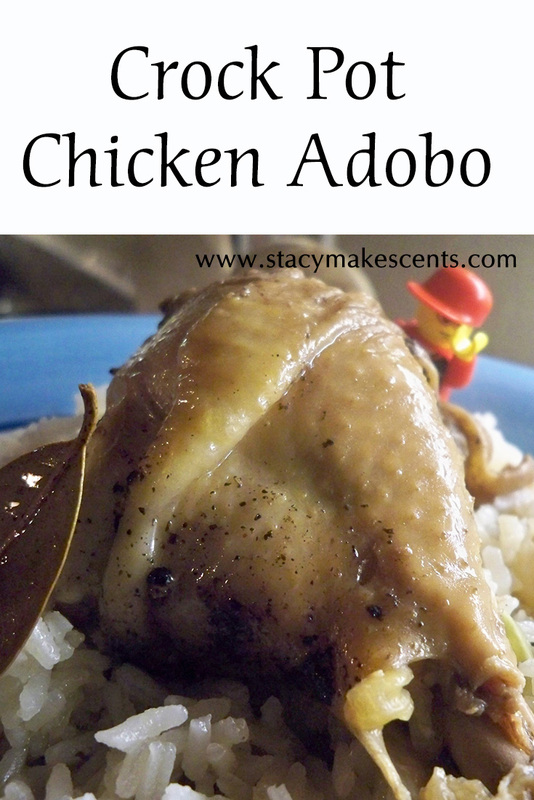 My daughter is half Filipino and I’ve made adobo chicken before, but never in a crockpot! I’m going to give this one a try! Enjoy! 🙂 Thanks for stopping by. Hooray, more part-Filipinos! We usually make our adobo on the stove, too, but I do like the fix and forget aspect of the crockpot…except you can smell it all afternoon and get huuuuungry. I hope you enjoy it!